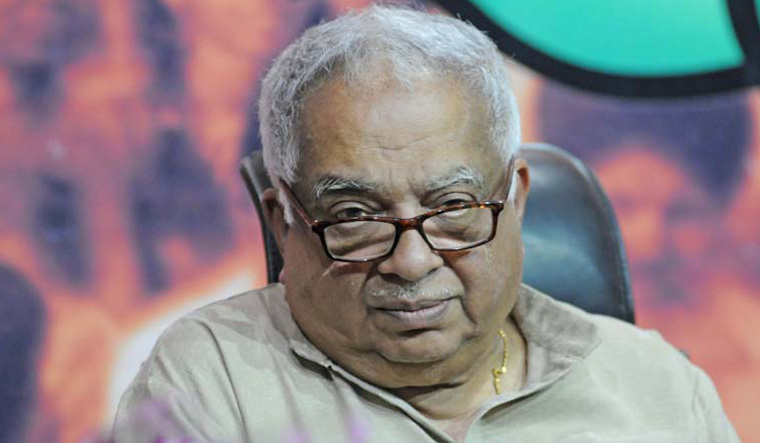 Veteran journalist Thaliyadiparambil Vittappa Ramachandra Shenoy, former editor of THE WEEK, passed away today. He was 77. The end came around 7.30 pm today, at Manipal Hospital in Mangalore, where he had been admitted for multiple health problems. The body will be taken to Delhi tomorrow, where the cremation will take place later. Hailing from Cherai near Kochi, Kerala, Shenoy started his journalism with the Free Press Journal in Mumbai, and had been associated with the Malayala Manorama group since 1968. He was the first Delhi bureau chief of THE WEEK after the magazine was launched in 1982. He subsequently became the Editor of THE WEEK and he held the post till 1989. He moved on to edit the Sunday newspaper SUNDAY MAIL, and has since been contributing columns and articles to several national and international newspapers, websites and magazines on issues ranging from national politics, economy, social issues, international affairs to current affairs. Even after he left THE WEEK, he used to contribute a column titled “Last Word” which was immensely popular for its deep political insight, dipped in understated humour. Shenoy was a member of the Board of Trustees of India First Foundation, and a director of the Manipal Academy. He was also a regular visitor to several universities including Oxford. He was awarded the Padma Bhushan in 2003. He had also been honoured with Morocco's Commander of the Order of Ouissam Alaouite for his contribution to improving diplomatic ties between Morocco and India. Shenoy is survived by his wife Sarojam, daughter Sujata, who is a journalist in the US, and son Ajith, who is copywriter with an advertising firm.